I would like to surprise my wife for her birthday with a dslr setup, however my knowledge on cameras are to be desired. She currently uses her iPhone 7 and to my untrained eye takes beautiful close up photos. She likes taking photos of nature and especially flowers. She tries to get in as close as possible to get a lot of detail. What you need is a macro lens, but dedicated macro lenses will probably eat your whole budget, unless you are prepared to look at second-hand kit. You do get cheaper solutions, such as extension tubes, reverse adapters and macro filters, but virtually all of them are a real pain to use. The middle ground is that some small consumer zooms have a “macro” function. Look for that when you buy. They’re not great, but still better than a phone. If you are prepared to entertain second-hand equipment, give me a shout via PM. Riaan – do you already own a D-SLR? If yes, which brand. 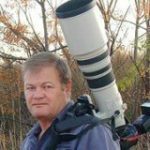 Otherwise think seriously about Canon – for the pure sake of economics – Nikon pricing structure is not very favourable to SA buyers. The other brands available suffer from basically the same issue, as well as smaller selection of product range. If she has smaller hands consider the xxxD series, ie 800D is latest, but also 750/760D. Kit lens is remarkably good, and can be used for close-ups (my niece does pretty good with hers) Alternatively let her try the xxD (80D) or good used 70D or 60D. Later on you can consider investing in a proper lens (please not one of the wanna-be macro zoom lenses, that is a sales gimmick mostly) or any other zoom / telephoto lens or accessories that she may show an interest in. Alternatively let her try the xxD (80D) or good used 70D or 60D. I can personally vouch for the 77D, which slots in between the 70D and the 80D, leaning more towards the 80D. Also worth a look is the 200D, which is extremely powerful for such a small camera. In comparison with the 77D, it’s really a very slight difference.